AMA Phoenix is proud to recognize Shailesh Ghimire as February Star Member of the Month. Currently the Director of Data for LaneTerralever, Shailesh has had his finger on the pulse of digital marketing and social media since before it was cool. Shailesh works with clients on strategies including web development, SEO/SEM, social media, affiliate marketing and mobile marketing, just to name a few. 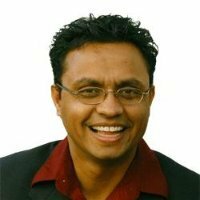 Prior to joining LaneTerralever in 2010, Shailesh was the Director of Interactive Marketing at AIR Marketing. He has also worked in the mortgage industry, designing online and offline awareness and lead generation strategies. His highly innovative approach, coupled with his technical background have helped grow his clients’ business and earned him praise among his marketing peers.